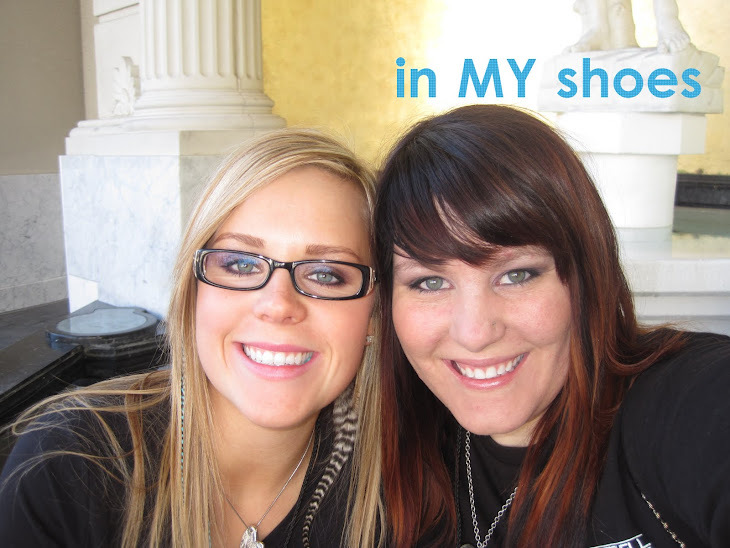 in my Shoes: a Storm to Catch up! a Storm to Catch up! What to do with all my holiday free time?? Update my blog! (and probably finish painting SOMETHING!) It's only Tuesday and I have NEVER had my job canceled due to the weather... Now I have all day today and tomorrow FREE! I'm not going to lie, it's kind of nice to actually have a holiday vacation. Usually we are closed Thanksgiving DAY and Christmas DAY... this year Christmas Day is on a Saturday, so that means Night School (attends Mon-Thurs) don't even get any extra time off for it. Oh well! August: We were so fortunate that we were able to get a visit from Angus Mitchell! He is a funny guy! The school picked him to come visit for winning the FUNraising competition. We also have a Paul Mitchell the School Lagoon day every year. It is SO much fun!! It's fun for my students to see Adam outside of his quiet zone that he is usually in when he comes into the school. September: Very Busy Month!! At School we had what is called Caper Kickoff. That is when the students kick off their annual contest to win a trip to Vegan in February for a 3 day training with all the Paul Mitchell Schools. Every year there is a different theme for kick off and we all dress up! It's pretty fun! Then came the concert i waited about 17 years for...CLAY WALKER!! I first saw Clay back in 1993 with some of my extended family. This time I went with my friend Jesica. It was the BEST CONCERT EVER!! Every year at Paul Mitchell all the Schools go out at the EXACT same time on the day chosen as FREE HUGS DAY. It's a very powerful thing to think that every school does it all together. Part of the Paul Mitchell culture is to be a daymaker. It means just that, to make peoples day. And what a better way than to spread the love and give free hugs!